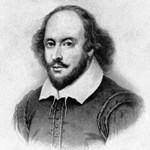 “He that loves to be flattered is worthy o’ the flatterer.” Today is the accepted birthday of William Shakespeare in 1564. Writing prompt: Write a scene in which flattery persuades your protagonist to make a decision that s/he would not have otherwise made, and for good reason. “The breaking of a wave cannot explain the whole sea.” -Vladimir Nabokov, born on this date in 1899. Writing prompt: Describe your protagonist’s thought process during a time when s/he fallaciously reasoned from a small detail to a great – and mistaken – understanding. 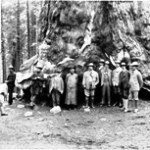 “In every walk with nature one receives far more than he seeks.” -Naturalist, author, and Sierra Club co-founder John Muir, born on this date in 1838. Writing prompt: Write a scene in which your protagonist’s encounter with nature delivers an unexpected and unpleasant surprise. Joan Miró was born on this date in 1893. Writing prompt: Describe from your protagonist’s point of view this famous Miro work. 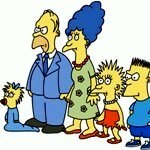 On this date in 1987, the first Simpsons cartoon appeared on The Tracey Ullman Show. Writing prompt: Write a scene in which your protagonist confronts an all-id oaf. 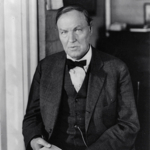 “I never wanted to see anybody die, but there are a few obituary notices I have read with pleasure.” -Clarence Darrow, born on this date in 1857. Writing prompt: Write a scene in which your protagonist must conceal her/his glee at another person’s misfortune.